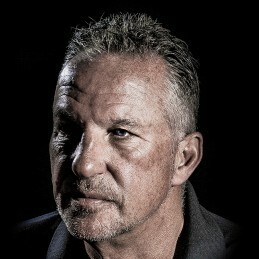 Sir Ian Botham, affectionately nicknamed Beefy, is one of the greatest and most charismatic players in English cricket history. Botham’s mantra was simple, he played hard on the field and played to win but always shared a drink with his competitors after the match. Perhaps the best all-rounder the game has ever seen, in his 102 Test matches Botham scored 5000 runs, including 14 centuries, took 383 wickets, and 120 catches. In the 1980s, Botham was the only genuine match winner England had in their side. Botham had an uncanny ability to turn a match single handedly with bat or ball. In the 1981 Ashes series he won two games in such fashion and many began referring to the series as Botham’s Ashes. He earned fame and attention in England, a country that at that time was starved of heroes but Botham always saved his best for his favourite opposition; Australia. Botham won a lot of fans though his championing of the cause of Leukaemia and has raised over 20 million pounds by organising charity walks, in 2007 he was knighted by Queen Elizabeth 11 in recognition for his services to charity. This year he is bringing his charity walk to Australia and New Zealand to raise funds for the Junior Diabetes Research Foundation for his last series of walks ever. Please click here go to the foundations website if you would like to contribute or participate. Botham is now a well-respected commentator for Sky Sports, Sir Ian is one of our most requested corporate speakers, who continually receives fantastic feedback for his humorous antidotes and stories.